Outside his window, hidden in the shadows of the Via Torregalli, a powerfully built woman effortlessly unstraddled her BMW motorcycle and advanced with the intensity of a panther stalking its prey.... She checked her silenced weapon, and stared up at the window where Robert Langdon's light had just gone out. 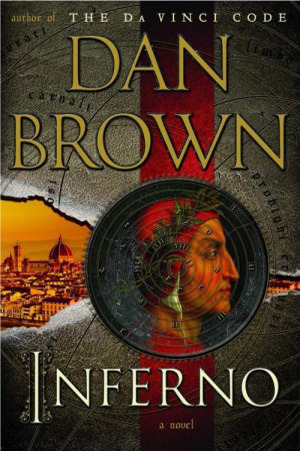 Classic Dan Brown, right? Mysterious woman on a motorcycle with a gun. In Italy, of course. Ah, guilty pleasures, guilty pleasures. Teaser Tuesdays is hosted by mizB at Should Be Reading. If you'd like to read more teasers, or take part yourself, just head on over to her blog. And please feel free to leave me a link to your Teaser Tuesday post in your comment here. I haven't read anything by Dan Brown in a long while...this one sounds pretty intense. I'd keep reading. I really do want to read this one....love that teaser. Uh-oh.....sounds like somebody's in for some 'fun'! Hope this one is as good as the others.